High school graduation is a life-changer for young adults, marking a change in freedom, independence and possibilities. For Tony, plans and excitement for his planned future were quickly rerouted. Just two weeks after walking across the graduation stage in 2008, Tony was fighting for his life after a car accident. His brain’s ability to send and receive messages from the body was damaged. Even simple messages, like blinking or lifting his head, were tough to translate into action. In terms of motor learning, Tony had to re-learn the basics. Over the last six years, Tony’s road to recovery has been challenging, but fortunately he’s had the determination, help and encouragement to get back what was taken. He has encountered many caring people who have put their hearts into helping him regain abilities and independence. One of those compassionate individuals is Naomi Dahl, a personal trainer at the Hudson YMCA. With dedication and creativity, Naomi has focused on accelerating Tony’s recovery, whether in the pool, on the Pilates Reformer, or in the Fitness Floor. She’s taken the time to get to know Tony and is able to redirect her plans based on what Tony’s needs are on any given day. With a brain injury, energy and attitude can change dramatically from the quality of sleep the night before, changes in medications or stress levels. At the Y, Tony has been able to practice some of his social and cognitive skills through volunteering and visiting with staff and members. 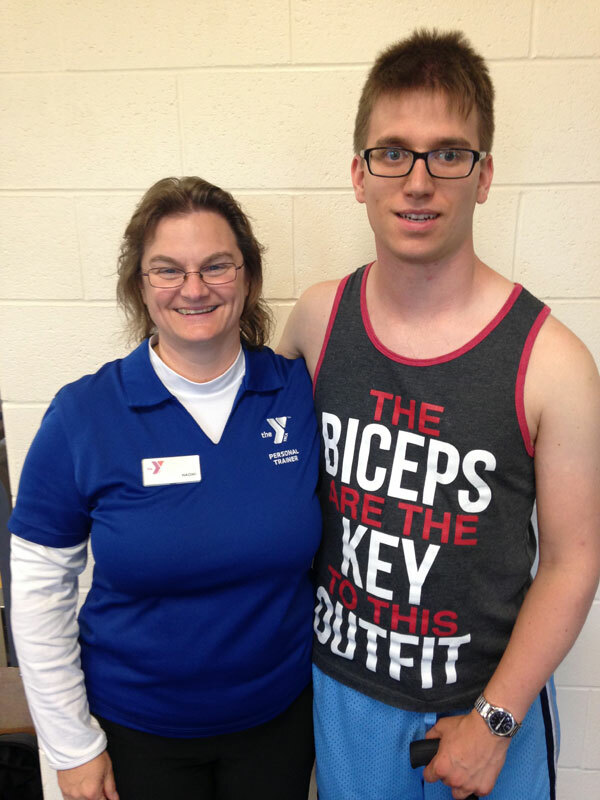 The Y has become a part of everyday life for Tony. And, for all that he has thankfully regained—Tony and his family are very grateful to the YMCA.